Here’s our 3 unexpected dental tips from your local Hoover dentist. 1. A healthy smile is more important than a “perfect” smile. Our smiles are what make us unique. If everyone had the same uniform, cookie-cutter set of teeth, life would be boring. To us, the most important thing about your smile is that it’s healthy enough to last a lifetime, and that YOU feel great about it. That’s why at a first visit you’ll often hear us ask: what do you love about your smile, and is there anything you’d like to change about it? Our job is not to tell you what to do, or how you should look, but to help you understand what’s going on when it comes to your oral health, and provide you with information and options so you can decide what works best for you. 2. The most important dental work you’ll ever have done is what you do at home. The best possible dental tip we can give you to keep your smile healthy and bright is to keep up a great dental hygiene routine at home that includes brushing twice a day for 2 minutes, and flossing at least once a day. Dental decay is one of the most common and preventable diseases in the world. 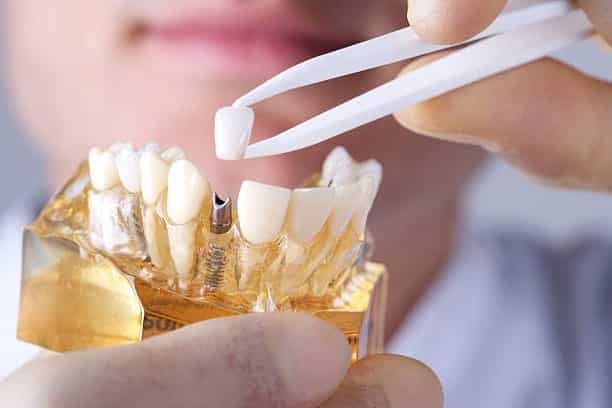 While there are other contributing factors that can lead to decay and cavities such as genetics, medications, and certain medical conditions, the most common risk factor for developing cavities is still a lack of proper oral care at home. 3. It’s more important to have properly aligned teeth than “perfectly straight” teeth. Yes, we just said that. Straight, evenly spaced teeth, the most important result is that your bite is properly aligned. Some signs that may indicate a need for orthodontic treatment include difficulty chewing or biting of the lips or cheek, crowding or extra spacing between teeth, clenching or grinding, headaches, or protruding teeth. Sometimes shifting teeth can also be a sign of periodontal or gum disease. Wisdom teeth are our third set of molars that usually come in during your late teens to early twenties. Over time our jaws have shrunk, leaving little room for the extra row of teeth, which is why they can cause pain and need to be extracted. So, when do you take out wisdom teeth? Not every patient experiences pain associated with their wisdom teeth. 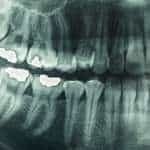 Sometimes a dentist will recommend pulling them based on your x-rays if the wisdom teeth will cause overcrowding or put excess pressure on the other teeth as they move. When overcrowding occurs, teeth that were once straight begin to shift. Shifted teeth can cause problems such as one tooth moving in front of another, gum issues, and even result in infections caused by trapped food. Pain is usually the first sign that your wisdom teeth are causing problems and will need to be pulled (extracted). The pain is typically a dull, aching pain in the jaw. Certain foods that require more chewing like meats and root vegetables can make the pain worse when chewing. Hot/cold sensitivity can be another indicator. 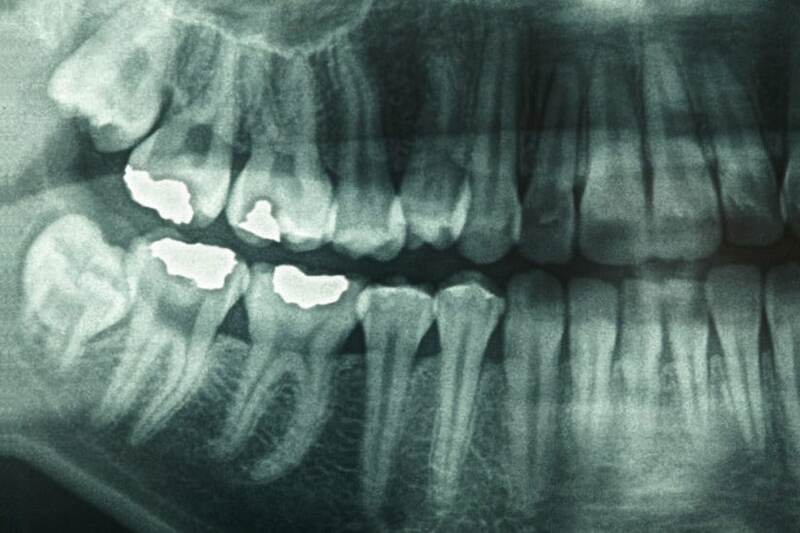 Impacted teeth is another common issue from wisdom teeth coming in crooked. When there isn’t enough room in the mouth the teeth will commonly grow in on an angle and sometimes not in the same direction as the rest of your teeth. This usually results in tenderness, swelling, gum infections, and damage to surrounding teeth. When wisdom teeth are impacted, it is highly recommended to remove them as soon as possible. Impacted teeth are more likely to cause jaw issues and can cause other serious problems. Tooth decay can be caused by much more than just poor oral hygiene. 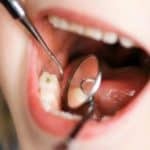 So, what causes tooth decay? Tooth decay is often a symptom or warning sign of something much more dangerous, happening in the body. 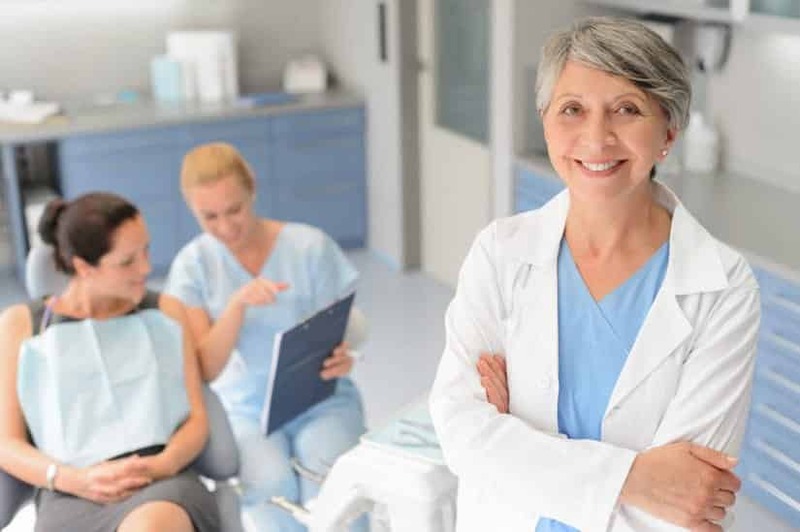 When you visit your local dentist for an exam, like your Hoover Alabama dentist, they are looking at more than just the physical appearance of your teeth. We are trying to understand the entire picture, along with what your mouth and oral health is telling us. The mouth is a window to the rest of the body and will often show warning signs that there’s something bigger going on. Here are some of the diseases that frequently cause tooth decay. If you suffer from any of these conditions, be sure to discuss with your dentist at your next appointment. Diabetes has perhaps the most significant cause and effect relationship with tooth decay. Whether you have type I or type II diabetes, your body’s blood sugar is elevated because of lowered insulin levels. This impacts many parts of the body, and the mouth is a big part of that. As the tooth decay continues to build up, the risk for gum disease also increases. Gum disease is caused as bacteria continues to build up in your mouth. In fact, about a quarter of all people diagnosed with diabetes also develop gum disease. Autoimmune conditions are a family of diseases that involve the body attacking parts of itself. This can include everything from major organ systems, like the kidneys, to smaller systems like salivary glands. Many of these diseases have some impact on the mouth, but the one most directly tied to oral health is Sjögren’s syndrome. People with Sjögren’s may need to visit the dentist more frequently than twice per year to keep tabs on tooth decay that results from decreased saliva production. 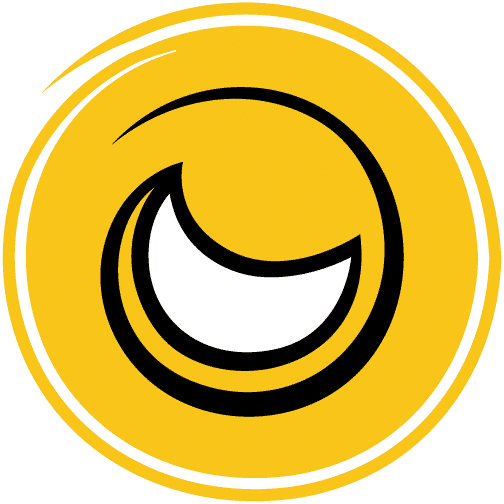 There are also over the counter lozenges, mouthwashes, and other products that can help increase saliva production and manage symptoms day-to-day. Both anorexia and bulimia are severe eating disorders. They occur when men or women have an extreme fear of becoming overweight and either eat less or regurgitate food as a result. Both conditions have implications on the teeth because the body is not getting the minerals, vitamins, proteins and other nutrients that it needs to maintain good oral health and prevent tooth decay from forming. When people with anorexia do eat, they tend to fill up on sugary, salty, unhealthy foods that are bad for your teeth. These are just a few of the more common diseases that cause tooth decay. The connections between your mouth and the rest of your body are not always apparent which is why it’s important to share your medical history with your dentist. We hope you visit Sampson Dentistry for a dental appointment soon! By now, you’re likely aware of smoking’s impact on your oral health. However, you might not realize the serious effects smoking has on your overall dental care. Since your mouth is the starting point for all cigarette damage, you’ll deal with significant oral health issues when smoking. Since the nicotine found in cigarettes immediately hit your teeth as you are smoking, this is the worst side effect. These chemicals can lead to yellow stains on your teeth that are difficult to remove. Smoking also weakens the protective enamel on your teeth. This can leave your teeth more susceptible to bacteria that cause tooth rot and weakened enamel. Overall, leading your teeth to become more sensitive. Additionally, this build up of bacteria can lead to gum disease, which causes your gums to recede and compromises the stability of your teeth. Finally, perhaps the most major impact smoking has on your oral health is oral cancer. You’ll find a variety of mouthwashes and toothpastes marketed to smokers with claims that they can help repair damage caused by smoking. This includes toothpastes made to remove yellow nicotine stains and products used to mask cigarette odour in your mouth. However, no product on the market is as effective at treating oral problems brought on by smoking as actually quitting smoking. Additionally, many of these products use abrasive and harsh chemicals to attack bacteria that thrive in a smoker’s mouth. Yet these products can do nothing to restore enamel, prevent gum and tooth rot, or stop any type of oral cancer. 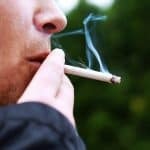 If you’re a smoker, it’s important you regularly visit your dentist to monitor your oral health, and visit your local Hoover Alabama dentist Sampson Dentistry. Tooth decay is a dental health issue that affect children. One of the biggest culprits of tooth decay in young kids come from many of the drinks that we give them. 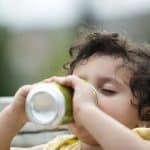 Does soda and juice affect toddler’s teeth? The World Health Organization (WHO) advises limiting sugar to only 10% of a toddler’s daily caloric intake. At three years old, daily caloric intake is roughly 1,100 calories. That equates to only 5.5 teaspoons of added sugar a day. Most sodas and juices contain nearly triple that amount in a single serving! Does Brushing Teeth After Drinking Soda Help Avoid Tooth Decay? Brushing your toddler’s teeth after consuming soda or juice can help to rid the mouth of the acid causing bacteria. However, doctors recommend to wait at least 30 to 60 minutes after consuming sugary drinks. It is recommended to swish the mouth out with water. This can be done immediately after consuming a sugary drink. How Does Sugar Decay Teeth? Before you completely ditch all forms of sugar, it is important to understand how sugar affects tooth enamel. Sugar alone is not the issue. What does cause the damage is acid. When bacteria in your toddler’s mouth use sugar as their food source to break down into energy, acids are released. This acid then begins to break down the enamel and remove important minerals from your toddler’s teeth. The end result… tooth decay, rot, cavities, toothaches, and tooth sensitivity. 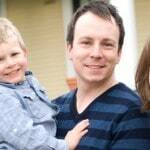 How Can My Toddler Avoid Tooth Decay? The obvious answer is to avoid sugary substances. However, the occasional sugary treat is okay. A fun way to get your toddler to drink more water is by adding fruit. Fruit infused water provides a delicious flavor without adding refined sugars and other harmful ingredients. How Often Should I Take My Child To The Dentist? 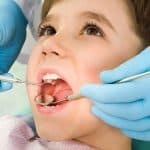 How Often should I take my child to the dentist? If you are asking this question then first know that you are not alone. Most parents are not sure exactly when is the perfect time to schedule their child’s first dentist appointment. Should your child wait and go after the first tooth comes in or maybe after all their teeth come in? According to the American Dental Association and the American Academy of Pediatric Dentistry, your child’s first scheduled dental visit should occur within six months of the first tooth erupting, but no later than by age two. Your Child’s first dental appointment generally is more about learning their teeth and the importance of taking care of them versus an actual examination. Typically your dentist will not do an actual exam. They may peek inside your child’s mouth so they can make sure the teeth are coming in properly and there is no bottle rot, but generally, this visit is more about building trust and awareness. Your child’s dentist will often explain all of their tools, what they are for, and why they are important. Establishing trust and building a relationship with the dentist often helps the child overcome dental fears later on as they grow and have actual appointments, or even avoid dental anxieties all together. What Happens After a Child’s First Dental Visit? After your child’s first visit, it is highly recommended they visit the dentist every six months, unless there is a health concern. Common concerns that call for a visit early include a lisp, teeth grinding, and mouth breathing. Once your child is ready for their second visit, this is where your dentist will begin to work on your child’s teeth. Typically, the second dentist visit will include counting the child’s teeth and brushing them with cleaning paste. 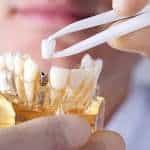 Dentists often introduce treatments in stages for two reasons, one, they may not have all of their teeth and be quite ready for advanced treatments, and two, to slowly build trust and ease fears. It generally isn’t until the third visit, or after the age of three were they start receiving more advanced treatments, such as fluoride treatments. A great way to minimize the fears of going to the dentist, is when you bring your child to one of your dental exams. When they see the dentist working on your teeth, it can help ease fears. Remember, it is never too early to begin proper oral care. Schedule an appointment with Sampson Dentistry! Dental X-Rays Safe During Pregnancy? Are dental x-rays safe during pregnancy? Pregnancy is an exciting time and, it does not mean that you should abandon your dental care routine. One question we often receive at Sampson Dentistry is whether dental X-rays are safe during pregnancy. The short answer is yes, dental X-rays are safe to have during pregnancy. But there are some other factors you may want to consider as you are planning your dental care during this time. The amount of radiation used in a dental X-ray is very low and, according to both the American Dental Association and the American Pregnancy Association is not enough to cause any harm to a pregnant woman or her baby. If you’ve had dental X-rays in the past, you probably remember the dentist or hygienist placing a heavy apron over you before turning on the X-ray machine. This is a leaded apron that is designed to minimize exposure to radiation during the X-ray process. The apron is long enough to cover the abdomen, which means a baby is protected during the X-ray process. It might seem like a nuisance, but this is definitely one of those situations where it’s better to be safe than sorry. The apron will feel heavy when your dentist or hygienist puts it on, but it is safe to use at all stages of pregnancy. Making the Best Dental Care Decisions For Mothers To Be. Even though the dental X-ray process is safe to undertake throughout pregnancy, some women make proactive choices to limit their exposure to X-rays and other procedures during this time. You should notify your dentist as soon as possible after you become pregnant. You can work with your dentist to develop a treatment plan that will work for you and your baby. Some women choose to postpone X-rays until after the end of the first trimester. This is because, it is the most crucial time for the baby’s development. This is not medically necessary but may help provide peace of mind. Routine dental X-rays can also be postponed until after the baby is born, but this is not something we recommend. X-rays are critical to detecting dental issues that could become serious if they are not detected and treated. Sampson Dentistry works with moms-to-be to develop treatment plans that meet their dental health needs. We will always look out for the health of our patient’s babies. Dental care should not stop just because you are pregnant and dental X-rays are no exception. If you have additional questions or would like to discuss your specific situation with one of our dentists, please don’t hesitate to make an appointment.